February 26, 2013 February 26, 2013 Shalimar Masters "shalimamma"
I had the unfortunate occasion yesterday of discovering that some friends of ours were going out of business. This always makes me sad to hear… even if I don’t personally know the business owner involved. I hate seeing empty buildings and darkened windows and the remains of a sign where a once successful business thrived. I think many of us, if not all of us, are seeing these signs of our struggling economy. Where once it was 5% of all businesses would last 5 years, and then 5 percent of those would last in the next 5 years, I wonder what the statistics are now. Actually, I don’t want to look. 😉 But I know it is more difficult than 5 – 10 years ago to build a company in our once-small-business-friendly country of America. Whatever the percentage, it’s tough out there. But for today, I want to focus on what has been the most important business principle I discovered during my Higher Education of Brilliance at The School of Hard Knocks: the need for a team. 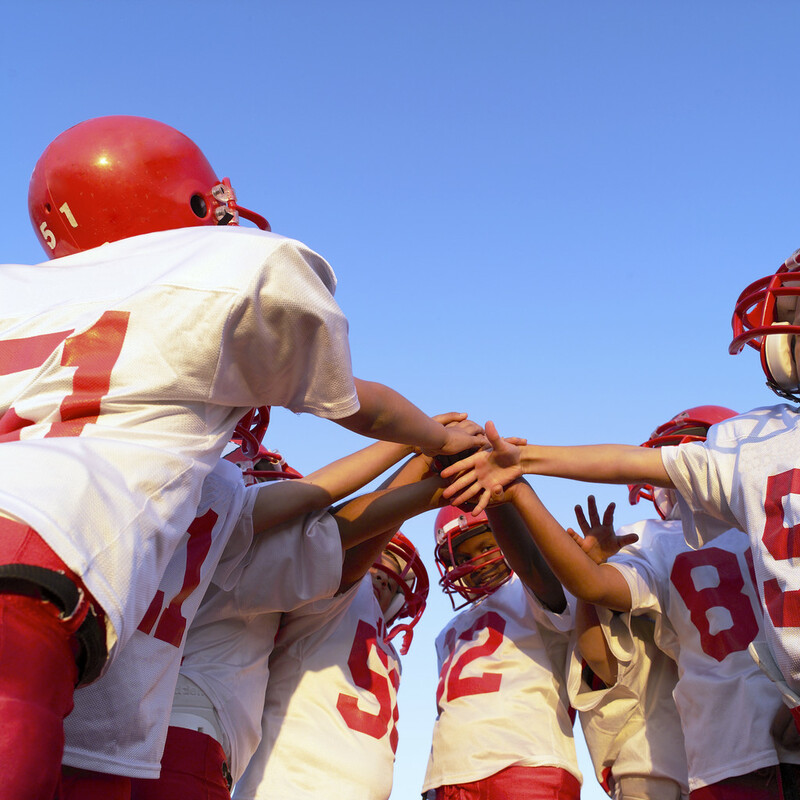 There are entire volumes written on the subject of putting together a good team, whether we are talking sports or business or a non-profit mission. But my passion is sharing what I learned for the everyday person like myself: the person who wants the best out of life, and in their family, or in their business venture, whether it is big or teeny. Regardless of what we may think in this “do-it-yourself” culture, we still all rely on a team, whether we know it or not. Even if we are a one man or one woman operation, we rely on some gas company supplying the gas to our vehicle, we rely on vendors, we rely on advertising outlets… and much to the torture of the ‘independent’ type person, we are at the mercy of these examples and countless more, like the fact that stop lights will work when we drive. In the end, we rely on some sort of team even if we don’t form one, and even if we are talking about life and not our business or job. But let’s take that a step further. Yes, we rely on a team to survive. But what if we want to GROW our business or our mission or our passion in life? We are all either growing or shrinking, in all aspects of life. And if we have a business, why would we want it to keep shrinking? I know we didn’t want that, and it was devastating when our successful businesses in the first 9 years of the new millennium ended up “failing” after good years of excellent profits. This is where we learned the most, and where we have studied in the last 4 years on how to do it better the next time. “…It was troubling to discover this from a former employee of yours today… I am so sorry. We have been through the school of hard knocks ourselves, and this has been the most educational. Failures are what, I believe, teach us more than our successes, most of the time. From our school of knocks, I can say we had made some of the same mistakes in our past businesses as well. But there is one point I would add that you didn’t have on your list of mistakes you made that you wrote about on your blog, that turned out to be the most pivotal for us: relying on a team. There is no one who can accomplish success as a one-man-show. Your mistake was not in having employees, and neither was ours. You had amazing loyal people who worked for you and loyal customers who bought from you. You also had our family that believed in you in the beginning and provided you with start-up capital. We are team players, and in your instance, we weren’t even looking for anything from you as far as worldly profit, but rather, we believed in what you were doing because we had a similar store back in the day as our first business. How does one build a team? I believe it is pivotal, as you head to your next adventure, to identify those you would consider your “A+ relationships”. We purchased from you when we were in financial difficulties, simply to be loyal to your business and to you and your family. We praised your business to others and offered ideas to help you. We were one of those A+ relationships, not someone on Facebook who just joined the crowd and clicked “like.” We invested in you. Invest BACK in your A+ people. Realize the treasure they are, because having them will build your business, and they will help you know what part of the team is lacking (there is a need on every team!) Not investing back in your A+ group will end up collapsing any business. And if those that invest in you start to feel as important as the next stranger who buys a one-time product, those people will start to back away. Secondly, building a team requires a give and take of ideas. It is hard to compromise business ideas, or details, especially when we have a strong personality But be willing to hear what people say, what their critiques are. The unhappy customers sometimes give us the biggest headaches, but can also give us the biggest insights on what to change…. Employees have excellent insight as well, because they are on the front lines in your company, and investors believe in you and only want the best in your big picture goals. …I also want to say that while you have pointed out your mistakes, I think you have done many wonderful things. There is nothing wrong with following a dream. It was a good dream. And it came true. Many people can’t say that… You have done a wonderful thing for this community. Do the Amish advertise their gorgeous furniture on the internet? Probably not. But many if not most are not hurting in the clever business and skill department, they have loyal communities, and they treat their customers and each other well. Google and search engines are excellent tools. But we need more… we need a team that is organic and real. And then not only will our business grow over time, but we will have another vital component: FUN… and who doesn’t want THAT?! Previous postIntroducing… Drumroll… Life and Business Coaching! Next postAnd the Winner is… Forgiveness! !